Why Does My Screen Go Black After the Windows screen When I Boot? - Ask Leo! It usually means your desktop settings don't match your video card's or your monitor's capabilities. My system will only boot correctly if I enable VGA mode. On a regular boot the OEM logo comes up, then the Windows logo, but after that I only get a black screen. Windows tries to set the display to its configured settings right after displaying the Windows logo, and just before displaying the login screen or desktop. Nine times out of ten if that’s when your display stops, it’s simply because your display settings are set to something that your monitor can’t handle. Depending on what it’s not supporting, some monitors respond by going black … others just go “crazy” displaying unintelligible gibberish. If that’s the problem, it’s fairly easy to fix. First things first … let’s get you a bootable system. Boot in safe mode – press F8 when the Windows loader presents you with the 30 second list of choices, and then select “Safe Mode” as your boot option. Right click on the desktop and click Properties, and then on the Settings tab. Now click and drag the Screen Resolution slider to the far left … you want the smallest settings that your screen will support. Typically that’ll be 640×480, or 800×600. Now, click on the Advanced button, and then the Monitor tab of the resulting dialog box. Change the Screen refresh rate to 60 Hertz. OK your way back out, and reboot your machine. If these setting were the source of the problem, it should now be able to boot normally. You may not like the screen settings, but at least you now have a place to start. Start experimenting with the settings to see what does, and does not, work with your monitor. If the display is still blank or gibberish, the my recommendation is to once again boot into Safe Mode, possibly Safe Mode with networking, and update your video display drivers. It’s likely that they are incorrect or otherwise broken. A place to start … start what? Start experimenting with the settings to see what does, and does not, work with your monitor. I tend to start with the screen resolution. Once again right click on the desktop and click Properties, then Settings, and then drag the Screen Resolution slider a notch or two to the right to increase your display resolution. Now click Apply. It should change the resolution and display a small message box asking if you want to accept this setting. If you don’t respond within some time, it assumes you can’t see it, so it resets to the previous setting. The lesson here? If the screen goes blank or you can’t read it, wait at least one minute before doing anything. The problem may resolve itself, and you’ll be able to say “well, that resolution doesn’t work”, and move on to try another. « Previous post: How do I remove boot choices that I no longer want? I changed the resolution of my monitor and the screen went blank. I booted in safe mode but all of the options are not available, the only options were already set to a min. Where can I go from here. I recenty bought this machine used and it was working great until I tried to change the resolution. My screen turns black after the windows logo. I followed all your steps, but it still does not work. I was working on a Dell E6400 laptop that had a good LCD function in the BIOS and at the Dell splash screen but when booting into Windows the screen would go black like the inverter was bad or the back light wasn’t working. I have never had a bad LCD do this. Usually if it is bad in the BIOS (flash light test, you can shine a light on the LCD and see images on the screen, means bad back light) then of course the LCD is bad. But when it is good in the BIOS or splash screen it is usually a driver or a software issue. Well this E6400 was giving me a fit. I reset the installation of Windows 10, and once it had reloaded the screen was back to normal and looked fine. I did check the video driver before the reset (using an external LCD) and found no issues there… super weird but I thought I would share it. It is working normally now. I am having the same problem exact problem. I followed the Safe Mode steps but it does not work. Any help would be great. Thank you. I got it now. I rebooted and hit F8. But instead of selecting Safe Mode, I selected Enable VGA Mode. I was then able to change my resoluiton properties and the next time I booted up normally, my screen was fine with those settings. Looks like there’s several people still having the same problem after following your advice. Any ideas on where to go from here if you still get the blank screen? I have the same problem, and folowed the advice. The safe mode allows nothing but to boot in win XP only…pressing F8 gets you to select VGA, and this brings you to select Win XP only, and no configuration tools at all. Safe mode at each corner but that’s about it. BDOD still there. On boot up, HDD is read and screen shows windows logo for about 3 seconds then goes black and the HDD seek stops. Have FDISKed and reformatted and tried different HDD, video card, etc, to no avail. Is the BIOS dead? after I had downloaded and installed new windows updates on dell desktop, my monitor does not working properly, in other words during the booting session just turn off and goes to power saving mode. I did try to restart pc in safe mode and check and change screen refresh rate to 60 Hz, it did not have that option, the only option was “use automatic setup”. After that I try to restart PC once again in safe mode, this time it was without any success. Next thing I done it was to reconnect my monitor to another notebook. Monitor was working fine until I decided to update the system with suggested automatic updates. guess what, my monitor went to power saving mode soon after (notebook monitor works fine without any visible problem). Please help me to solve this very unusual situation since my daily activities depend a lot on using a computer. Thank you. I am having the same problems. After i installed the newest drivers for my nVidia video card, it says “windows Logo” something, cancel installation or ignore. i chose “canncel installation”. But after my PC restarted, it kept hanging on booting. I went to Safe Mode and uninstalled the video driver. Then, the worst thing happend. The video goes to black after booting, as well as in Safe Mode. I ‘am just so screwed. hey guys id anyone can solve dis den plz msg me on my id downloadingdeath…hey guys…i m asad jaral…i m havin a problm wd my VGA card…it was workin fine b4 but know my power supply wasnt workin properly so i bpught a new 400 v power supply…now when i connect my cpmputer wd monitor…the monitor doesnt display anythin….but if i use onboard VGA it works…i cant fighure it out,,i have been tryoun da whole last two days,,,still nothin…i went iinto BIOS abd select da option (onboard/agp) from bios for my first display thing…but when i connect da xternal VGA,,,da computer works i mean da fan is on da hard drive is on…everythin is on..but monitor doesnt display anythin and turns offf..ig anyone can helpp i will b really thankfull to u all…. I had to reinstall my system on my hp pavillion ze 5500 and now my screen is tiny with a 2 inch black border all around. How do I get a full screen back? I tried installting the windows 2003 evaluation version on my laptop and got stuck on the same proble…Windows logo displayed, but after that I only get a black screen… Any News??? why when i insert a usb connecter for my phone does my pc turn off?need to know what to do,thanks. I can boot in Safe Mode. It comes up in 1024×768 with 32 bit color. I changed it to the lowest available, as suggested in the article (800×600 and 16 bit). I said OK when asked if I wanted to keep the settings. But, I still have the same problem when I restart. I have checked cables inside and out and I don’t se any loose ones. I am now considering re-installing Windows, but would like to avoid it. It’s strange that it worked yesterday. A little more in depth for me, yup, pc boots to Welcome screen for 1/2 sec, and then goes blank. This is not a Nvidia driver problem, I have seen that happen on other machines, removed and applied compatible VGA driver. Does the same thing, so that was not it. I have explored it further, and have found a symptom that may help you diagnose what it is. Allways boots successful to Safe Mode, and stays there as long as I like. Reapplied service pack 2. same problem on reboot, went to scan for viruses and spyware. removed the usual odd virus, and spybot found a fair wack of stuff. nothing special there. The main symptom, i can reproduce now in safe mode, is when I went to install Adaware SE, it gets 1/2 way through its installation, and then it black screens the PC. every time…. It would seem to be something with Windows Installer or something similar, and I can now reproduce this evertime, but am so far no nearer finding the problem. Its definately a service that is broken. The system log under eventviewer does not even get a chance to log an event before it crashes, and the debug and reboot on error options are not ticked…. its a mystery to me so far, but am happy I can reproduce behaviour under safe mode as it goes a long way to narrow down the scope of the problem. I have a Acer laptop with ATI Mobility radeon adapter. I have disabled it in Display Settings. After that screen was working only with 640*480 resolution. I think it was default display adapter. I have foolishly disbled this also in Display settings. After this system goes blank immediately after windows logo screen. I can hear the login sound on clicking ‘enter’ key but nothing is displayed. Even Safe mode or enable VGA mode don’t work. I tried all the options in BIOS and F8 menu but nothing works. If the blank screen is getting displayed after Windows XP logo, but you can hear login sound on the entering the password, it is most probably that your diplay adapters were disabled. Safe Mode or Enable VGA mode should work in this case, but if your default display ‘VGASave’ itself is disabled then they will not work. Method-1:In this case try logging in with ‘Safe mode with command prompt’ (press Press F8 during startup and select this mode). This will most probably enabled even if the display adapters are disabled as it doesn’t require any GUI. In the command prompt type “devmgmt.msc” (without quotes) and press Enter. This will open the device manager. In Device manager, goto Display Adapter and enable the available device. Also VGAsave mode should always be enabled as it is the failsafe display for windows. Open device manager, in View menu select ‘Devices by connection’ and then select ‘show hidden devices’ option. Navigate to VGASave and enable it. If there is no display adapter available and enabling VGASAVE doesn’t solve the problem, install new display adapter from a CD. Since command prompt is available, it should not be an issue. 2.Use “Windows+R” to goto Run. 3.Type “devmgmt.msc” (without quotes) and press Enter Key. 8.Press ALT+Y and wait for about 10 minutes. The above process enabales VGASave. Please give some time gap between each of the commands as you never know which operation takes how much time. Also have some other system near you to simulate the above steps. If this is successful, system would restart and would open with vgasave mode. You can then repair/enable the dipaly adapters. If this doesn’t work, again check if ‘Safe mode with command prompt’ is enabled and follow method 1. Also experiencing blank screen problem. When I try to access amy of the safe modes, the process stops at the line “multi(0)disk(0)rdisk(0)partition(1)WINDOWSsystem32DRIVERSagp440.sys” and then doesn’t go any further no matter how long I wait. I’ve tried Rajesh’s answer and still no joy. Any ideas? im having a serious issue with my pc and i dont know what to do next expect throw my pc through the window. I have XP pro with 2gb ram and 2.4ghz pentium and a quadro 700 agp card. i installed another card (quadro 230) to get dual screens, and after installing the driver and rebooting, my pc went dead. When i say dead i mean that the pc boots up to Dell screen, the window splash screen for 10 seconds, and then the screen goes blank (dark) when the desktop should load. i waited 10, 20 mns but no change. I can hear things happening, or access the shared directories on my desktop by using my laptop, but i cant see anything on my screen. i can even hit the keys to shut the pc down without seeing them (i remember them) and the pc turns off. so i guess the PC is ok, but the visuals are gone…or semi gone since i can see the boot up and window splash screen. ive tried changing the graphics card, changing screen, running recovery console chkdsk /r, fixboot and fixmbr or even booting to safe mode, with no success. When i try to go to safe mode, or last config, or any other choice, it stops at iomsys. I tried disabling this service in the recovery console, but that didnt work..in fact, i would auto reboot without going anywhere. hi i’m having a weird problem. First when i boot my computer it goes to the windows logo. Then it goes black…The way i got around this is to simply reboot my compuer and 1 out of 5 or 6 times it actually lets me into the system. Now that worked for me thus far. I even lowerd my resolution and color like stated above but that didn’t do much of a difrence. Now when i try to boot in safe mode it simply puts bunc of petition this and that mostly related to my hardware and then it stops. It goes no fruther, so safe mode does not work for me. So now when i boot up my computer it goes to the windows logo and then a black screen aobut couple minutes later it displays a blue screen and then it restarts again doing the same thing over and over. i’m thinking the constatns shut downs will damage my computer sooner then later. But now the only way i can get around this problem is after it shows the blue screen and restarts. I have to boot up in safe mode with comand prompt. It freezes then i turn my computer of and then boot in last good knows configuration, then it lets me in. However if i try any other method it will do show the black then blue then restart. This is not a good way of getting into my system and i’m afraid that i will damage my cmoputer beyond usage. Obviously the problem is going from worse to worse, so any help would be greatly aprichiated. I have one gig of ram, 3 gig pentium procesor, video card is a geforce fx 5700 plus ultra, and motherboard is an sis 800 i think. I tried method 2 numerous times but to no avail. I can’t get to boot in safe mode or any mode. I inadvertantly disabled the VGA mode and that’s when my problems started I don’t have any bootable discs available. Can someone tell me how to make a disc? or give me another tip on how to get my system working properly? I have windowsXP sp1 intalled and I can access the computer from another computer. about black screen after resolution change,I can’t go into save mode and i tryed the other and still no go. Please help? K, forget the DVI output, I mean, first i thought the MX 440 AGP card driver was the issue, since only a win 2000 version was accepted by my win xp. and none of the updated drivers were recognizing my card. Upon booting my system, the card is recognized as Nvidia Geforece 4 MX 440 64 mb card. The plug and play always recognized it as an SIS But then i was told video card. the problem here is in both of the above cases i never got the output settings options in the advanced section of the display properties. But i found out that maybe it is a fake card which is actually an sis card. so got the updated sis for win xp, now after the win logon screen the windows comes on a blank screen, can see it boot and log on to windows but windows upon logging on is blank, no desktop.. and now i cant get it back to working screen in windows, also in safe mode it gets stuck in the agp440.sys, NEED HELP GUYS! I had the same problem with a Windows Vista RC2 notebook today. Black screen after boot up; just the mouse cursor visibility/functionality was enable. After several unsuscessful tries to boot up in the different save modes, and loading defaults in the BIOS; I converted an WINXP C: drive to USB and plugged it in, changed the boot up to USB hard drive in the BIOS. This time windows bootup gave me an option to boot to a “known good configuration”, I chose that and voila! everything is working fine. I don’t have any idea what happened before it went bad, only thing I know is that the computer was in sleep mode before it happened. Also experiencing blank screen problem. When I try to access amy of the safe modes, the process stops at the line “multi(0)disk(0)rdisk(0)partition(1)WINDOWSsystem32DRIVERSagp440.sys” and then doesn’t go any further no matter how long I wait. I seriously have no clue to what happens after this. My computer will load to the initial windows logo with the loading bar, then reboot on it’s own. I’ve tried starting in safe mode and lots of data is displayed on the screen, then it locks up and eventually reboots again. I have an old PIII machine that was woking ok with WXP home edition SP2, and 384 MB RAM. One day I was working with a word doc, and it started to shut down, and after that moment It wont boot. It does not boot even in safe mode. It start to load all drivers, and 5 secs after loading AGP440 it goes black, and freezes. Any help? (No recovery console, but anyway i cannot even get to that stage). I have read all about the problems of SP2 and AGP440, but i was working ok before, so it does not looks like this is the problem. I desasembled the machine and cleaned it without results. might that be HW problem? where to start? Almost definitely a hardware problem. Where to start is really hard to say. RAM, power supply and motherboard are the three most likely culprits, but you’ll probably want to take it to a technician for diagnosis. My system also goes blank after boot, sometimes it freezes the mouse pointer, goes blank and returns moments later. I tried this and successfully recovered my data from my new Acer 1.73 iNtel Centrino laptop that froze up Windows XP after 4 months of purchase. I have the same problem as “John” on here has listed. Does anyone have any suggestions on how to get past this. Thanks. you suggestions on going to safe mode are fine, but I can’t get to safe mode…as one poster menioned I see files loading then it stops…flashes the safe mode logo a couple of times and then reboots. rite now i’m on a teribble situation. i have window XP professional edition and use NVIDIA GEFORCE FX5600 graphic card. last night i disabled my vga card and was propmted to reboot my system. When i did, my monitor went blank after displaying the windows Xp logo. though i can hear my system booting up i cant see anything, my monitor is blank. i tried getting into safe mode but a lot of lines comes up and my system is stuck at that. i even tried using the enable VGA mode option but my monitor is still blank. i removed my VGA card from my motherboard and selected the onboard option in BIOS but it still dosen’t work. PLEASE HELP!! Thanks Leo! With the article’s help I was able to reset my hardware setting for the monitor which was beyond the signal it could handle and restore everything to good working order. The key was the F8 function key as I was too familiar with older Windows version which involved the ESC key instead of that. In short, just the needed tip I needed to make short work of restoring. I had the same issue and found the information on here during a search. I was able to access in VGA mode and after a couple of attempts at changing settings, resolution etc I decided to do a restore. When my calander offered few options the one I chose was when I removed HP printer software I no longer needed. Suffice to say all is well now. I may still change my driver etc and have a look at my card for good measure. AMD 2800+ & Nividia 57300 home build. Thanks for the great advice, keep it up. My screen also goes blank after the Windows logo comes on, I tried to put it into safe mode but all i get are a bunch of lines MSDOS codes or something and then the computer crashes on me. I have a HP dv series. I have a Panasonic CF-48 and changed the refresh rate to low. Now the machines screen go’s blank after the loading screen in all modes. HELP! My computer boots up in the screen to choose safe mode but none of thoes option work at all they reboot it back to that same screen! Windows XP is whats installed!!! Hi – i booted from windows cd , ran a chkdsk and voila ! the directory on my gard drive was fried , it was looking like it was booting until agp440 .. I have been working on this computer for 2 weeks. Some how I knew it would be something simple like this. I talked (chatted with HP IT people, and they could not help me, tried all kind of things) Thanks, Leo you saved my computer. I am (trying) to run my system using an NVidia Geforece 7300 GT and get the blank screen treatment. I doubt the resolution is the issue here as it ran fine for months without a snag, but then this hit me in the last couple of days with no changeds being made to the display settings. I have the latest drivers installed, but it didn’t help (as it did when the same thing happened a few months back). I am running multiple OS’s (Windows Vista Ultimate, XP Pro and a foreign language version of XP Home) and this happened simultaneously on all three OS’s. I can boot to Safe Mode on all three, but any attempt to load drivers and run normally results in blank screens. Any ideas? I have disabled the card in Vista and it works well enough to do this, but it would be nice to get the card working again. monitor, and perhaps a card to see if they’re broken. Just download the latest driver from your graphic card manufacturer. In my case, downloading and installing the on from NVIDIA website worked well. But of course you’ve got to reboot your computer in VGA mode otherwise you cannot do the downloading and installing part. i came across your site whilst trying to find the solution for my computer problem. the error above occurred after i was already having problems with starting up my computer so i decided to open it up as the problem was relating to the hard drive. before, i kept getting a black screen which said either “a disk read error occurred” or something like select proper boot device. i then would boot the hard drive and the windows screen would appear, and then reset, making no difference. my computer has been having problems for quite a while now and i only recently purchased new parts (graphics card, power supply, motherboard…) but did not purchase a new hard drive. then, when i opened up the computer, i accidentally plugged both the legacy power and the sata power cables into the hard drive. after that, i took out the sata power cable and the problem appeared to be fixed. however, the screen turned black after the windows screen and i am unable to enter safe mode. i am not very good with computers and your help would be much appreciated. thank you. I had the same problem after a format and fresh install of windows when i installed the drivers for my gforce 6600 graphics card. So after hours of attempts and many errors this is how i finnaly got my pc to work. Firstly go to nvidia and look for driver version 71.84 and d/l this driver(i saved it to desktop for easier to locate)when the d/l is complete double click the file it will ask you where you want to extract the files(once again i chose desktop for ease),when it has finished extracting the files it will begin its auto install AS SOON AS YOU CAN CANCEL INSTALL all will become clear. Now bring up display properties in controll panel click on display and advanced tab ,now you will see the adapter as a standard vga adapter click on DRIVERS tab and choose delete .windows will then delete its own standard drivers. Now go back to control panel and click on add hardware. when it finds VGA adapter dont let it install windows drivers point it to the extracted drivers you have on your desktop. now the best bit all of a sudden it comes up with found(in my case geforce 6600 display adapter)and installs all nvidias software for it REBOOT and xlnt pc is working fully. good day leo! merry xmas! if this was a videocard driver problem, how can i uninstall or revert the drivers that i have updated? Hi Leo. My PC was fine really, but then i accidently change the display graphics settings, and now I find that computer gets as far as the WIndows XP Logo on start up and then black screen hanging occurs, even though windows has definately loaded up and is running in the background (the keyboard and mouse are functioning, altho they cant be seen). please advise How I can get into safe mode or manage to visibly see windows to revert my display settings back to default. Please HELP, I too accidently change the display graphics settings, and now I find that computer gets as far as the WIndows XP Logo on start up and then black screen hanging occurs, even though windows has definately loaded up and is running in the background. The other big problem is that I have set up 3 users 1)Admin with password 2)guest (limited access rights) no password 3) Admin2 with password! I just tried another monitor Samsung SM931BW thinking it would work 1400 to 900 resolution however no avail. when i open my computer the icons on my desktop is not showing only the wallpaper itself but not the shortcuts of the installed program and when i boot it in the safe mode that’s the same thing that happen.plss hel mo mr.leo!!! Dear Mr. leo iam a comp person myself my hard drive shut down on me a few days ago well i did a fresh install of windows xp ser pack 2 then went though the updats and all that and added my viurs pro, after restarding the comp the windows logo comes on with the scroll thing going aross then the screen goes blank and i clue on how to help me out one. a few days ago, i turned on my PC, everything loaded as normal, but then explorer.exe suddenly closed and so the icons and start menu etc all disappeared. Using my task manager, i got onto the internet to search for a solution. Searched for viruses with many different programs but nothing was found. I then read that the google taskbar could be creating this problem, so i uninstalled it, restarted my comp, and then the problem that this topic is about occured – i just got a black screen after the windows logo bit. i tried bootingit up in safe mode, and also in the last known good configuration settings, but i just ot the same problem every time, its almost as though it freezes just after the windows logo bit. could this be some kind of virus that i could not find at work or is my computer’s components breaking or what? any help would be appreciated. I inadvertently uninstalled the ‘vgasave’ driver so no display. It was easy to get the display back in XP. use the ‘enable’ command to re-enable vgasave. hit return then reboot to either safe mode or normal. I had the blackout screen problem… i also thought it was a driver problem. But, I formatted the drive and reloaded xp……. the installation went well, but as soon as its finished, and windows loads, another blackout occurs. It dont even give me chance to reload the drivers. The resolution settings isnt even available in safe mode. I even tried another display card. Nothing!! the same problem over and over…. I experienced also the black screen on one of my laptops. Since I work as a IT professional I ‘felt’ it was not a serious problem and thought of a malware issue. Scanned with many tools,HitmanPro, SpaywareBlaster, BitDefender i.e. No go. Booting in Safe mode gave all options, here too. Tried a scandisk and repair, FixMBR, still no go. Somewhere on a forum I have read about setting the display settings to a minimum: 640×480 and a 8 bit color depth. I did. After rebooting in Safemode I got a “Display Driver error” with a popupscreen and step by step troubleshooting. It led to a setting that told me my Display was set on “TV Display” ! Well as notebooks have a external display option, this sounded fair to me, and after changing this into LCD/portable or whatever, after rebooting, I had my old windows settings back with a familiar screen! Just had to re-adjust the screen settings, and voila! So it all seems to relate to some other Display setting and not a driver issue. It may not be helpful to all of you, but perhaps you will get a hint like I did. it starts up normally untill the windows logo appears, then the blue login screen appears but there is no space to insert password or anything, it’s just a blank blue screen. then nothing happens happens after that, it just stays blank for few minutes then goes black. i cannot even use any of the programs because it freezes half way when i turn it on. Please I beg of you for help, everything I do is on my computer, I’m a graphic artist and all my prints are on my computer(stupid I know) I was going to buy an external hardrive tonight, but got this problem instead. Whenever I turn on my computer, it loads up the first couple of seconds, goes black, the the blue screen of death comes up, even when I try in safe mode, it always freezes at …/drivers/MUP for a couple seconds and then goes to blue screen, please help me! i did all the steps above for monitor black out problem. But when i switch to safe mode computer restarts and do not show anything after the windows xp loading screen. YES BUT I CANT DO THAT..and i have the same problem with black screen,but the screen shows me in small window -> Hz ? O pls pls ..PLS HELLP! Similar problem here with my PC. I wanted to use my Samsung tv as a monitor and hooked it up, but it would not work (the TV worked with my laptop though). I was playing with the display settings in XP and after changing one of the advanced ones even my old monitor stopped working properly and goes to black after initial windows logo and boot. I have tried to restart in safe mode, but it’s only giving me 2 options and asking where to boot from (machine or disk). No matter which one I choose it will not let me into safe mode and I still get the black screen. I believe the pc works fine, it’s just not showing anything and I am completely blind as a consequence! I read here that I could disconnect the video card: is this a good idea? Then plug it back in and Windows will recognise new hardware? I have also tried to change the BIOS settings to VGA mode but to no avail. I think the problem, which I have caused, lies in the video card (but don’t ask me what I have as I can’t get into my PC to tell you). It seems i do also hav the same problem. When i start my laptop,it boots up and shows that windows xp logo on startup but after that blank screen appears.Interestingly when i press power button,it again boots up but this time shows various options like safe mode, last known good configuration,start windows normally etc and when i start select start windows option everything works fine.But if i turn on my lapi next time i hav to do this stuff all over again. I am having problem with my Laptop blank screen after displaying the Windows logo, and just before displaying the login screen or desktop. I remember what I did. In the diaplay properties, i went in Advance then to Monitor and unchecked the Hide mode that this monitor cannot display. After that I got the blank screen as mentioned above. Please help how do resolve this problem getting back my disply. I tried booting using Safe mode, but getting stuck after mup. i wait but nothing happens and tried other options in normal mode, with networking etc. These are similar symptoms that I am having but when I hit F-8 my keyboard turns off not letting me to even try starting in safe mode or last known. I am stuck before even trying the solutiuons listed. 6. I can only navigate through VGA mode or safe mode. 9. I don’t know what else to do…..
10. Somebody help a brother out, i’m all out of options here man! campaq presario f700, okay boots up great, when you select a user, it goes to a black screen but the mouse curser is still there, tried the safe mode does the same thing black screen with mouse curser but you can see safe mode writen across the top. sorry did not help. had a power surge, screen is black when i turn on. i can put a picture on from my collection, when i log off and turn back on – no picture. how do i save. obviously a small problem, as i can get a picture. Good call on your method 2 procedure. I recently had the “vgasave disabled issue” and had to move through your steps blindly. A minor adjustment on the number of “v” that I had to press after the tab(since vgasave wasn’t the first one-i had a via controller that got tagged and then a vga driver error = 3 “v” total) and I was on my way. My computer screen went black and it goes to a black screen that says windows failed to start. hardware or software change might be the cause. I have not installed any new hardware. then it asks launch start up repair or start widows normally. but when I check either it returns to the same scree. Can I fix this by buying a new hard drive? OK, having the same trouble as most of the people here, except, I can’t get into safe mode either. Regardless of how I boot, after the Windows Vista logo, the screen turns black and all I can see is the mouse. If I wait, the screensaver will kick in and that looks normal(as far as color display and resolution.) So this is obviously not the video card. In addition to this problem, about a week ago, my speakers suddenly stopped working. A little “x” appeared over the speaker icon in the system tray. So not only am I in the dark, but I can’t hear either! My laptop is only a year and a half old and has never given me any trouble. I ran all the tests I could find with the Windows CD and not one error was found. Please help me tackle this problem as I’m up the creek without my laptop. Thank you. im having this very same problem. i turn on the computer, click the user account (which is mine) then type in the password and from there it goes to a black screen. i literally see NOTHING but the mouse pointer. i even tried the safe mode but still nothing. i also tried everything in the “F8” options menu. Need some help here. I went to safe mode but it’s still black. The heading and “Safe Mode”s in the corners are there but the screen is still black. i have a HP notebook of series dv1355ea and installed with windows xp home edition. few days ago i installed some graphics driver since then my notebook doesnt turn on. i tried a lot to boot in safe mode or vga mode or even i used last know good configuration menu option but alas it doesnt work. i have all option in the f8 menu but still faces the same probs. plz help me in solving the issue. I HAVE A SIMILAR PROBLEM ONLY MY BLACK SCREEN COMES UP IN THE MIDDLE OF A PROGRAM OR ON THE INTERNET. I WAS JUST ON THE INTERNET AND HIT A SCREEN BUTTON TO GO TO ANOTHER PAGE AND BOOM….ALL BLACK. THIS HAS BEEN GOING ON FOR ABOUT THREE MONTHS. ANYONE???????????????? I accidently hit the wrong link on display properties and now I have black text on black screen on desktop, on any righ click menues and all of the pages loading up and I can’t see anything on those screens. How do I change it back under those circumstances? Windows XP computer. in safe mode, my screen is black and I don’t have any options. What do I do? I hav a dell xps and the screen is crack only way i can use it is if i use a cpu monitor! Res is too high and i cant change it cuz the monitor stays black when i plug it into my laptop! what should i do? my screen is black with the word going across it enter password but i cant change to anyscreen. I have a question on black screen. I get a black screen every so often. The screen will flicker and then go black for a few seconds. It is very annoying when I am working on something. I HOPE THIS HELPS…FIRST OF ALL I’M NOT A COMPUTOR WIZZ NOR DO I REALLY UNDERSTAND COMPUTOR STUFF, BUT THE BLACKSCREEN THINGY HAPPENED TO ME, I WENT TO EVERYONES HELP AND IDEAS…AND THIS IS THE RESULT….I WAS ABLE TO THRU SAFEMODE WITH NETWORKING, AND I DID THE REGEDIT.EXE THING AND FOUND IT DIDN’T WORK…I REMEMBERED B4 THIS ALL HAPPENED, MY COMPUTOR TOLD ME THAT I HAD UPDATES…SO BECAUSE I COULD DO A SYSTEM RESTORE I RESTORED BACK A DAY BEFORE THE UPDATES…AND IT WORKED…I THEN WENT TO SEE WHAT THE UPDATES WERE AND SAW THAT THE WINDOWS VISTA SERVICE PACK 2(KB948465)WAS READY FOR INSTALLATION…SO I’M ALITTLE HESITANT TO INSTALL THIS…LIKE I SAID I’M NO COMPUTOR WIZZ…SO MAYBE ALL U COMP WIZZ’S OUT THERE CAN TAKE IT FROM THERE, AND LET ME KNOW IF THIS WAS OF HELP!! OK I too have a Toshiba laptop with black screen after windows splash screen, also in safe mode and can’t select VGA in safe mode. I can’t do anything only cursor on scren, can’t see properties box to change screen resolution. Nothing else works what can i do? I ran into some malware that caused similar problems (screen goes black after the windows startup screen). I ran super anti spyware and spybot in safe mode — all is well again. comment was like 1 or 2 sentences long. I was like “nahhh… can’t be that easy”. great. didn’t even have to do a “deep” scan… after that, i was back in the Blue (blue screen). & Safe mode trouble shooting… but i should have been starting with the small stuff. Am I the only one that thinks this doesnt make sense? If the screen is black after the windows logo (before login screen) how the eff are u supposed to right click ur desktop. I am running on Windows XP Pro had my computer has never given me any problems until now! I rebooted my system AFTER I noticed that my Commodo Anti-Virus scan had ran the night before at its usually scheduled time, but it had taken quite a really longer time than normal. The next morning I ended up with a BLACK SCREEN on my desktop. I can barley see the window program is running but I have to turn on a really bright light in the room and use a flashlight to shine on the screen just right to see anything!! I have troubleshooted the problem on the desktop by right clicking on desktop, clicking properties to settings and have tried to change everything there is on Windows to resolve this problem. I have not gone into Safe Mode yet because I am not positive what to do once I get there. Could you please write back and give me step by step instructions on what to do once in Safe Mode? I really appreciate any help from anyone. Maybe I could run my anti-virus program again and see what happens after that. What do you think. It sounds like I may have a virus? GOD I HOPE NOT!!! Doesn’t work for me. Has nothing to do with the screen settings. Has to do with the driver. I’ve been using this intel driver for more than 2 mos. without problems and then suddenly this. It doesn’t matter if I uninstall the driver in safe mode and reinstall. Monitor still doesn’t work. Works just fine with the default vga driver though. I don’t get it. How did it work fine for 2 mos.? i am having the same problem except i have no on board graphics, and my computer will not boot up in safe mode what so ever. Ok so i had this problem with windows seven. I’d get a black screen after load, but i could see about a millmeter at stuff at the top of my screen. did it both in normal and safe mode. When i got to choose what os i wanted, which windows seven was my only option, i hit i think it was f8, it will tell you what button for advanced options. there was a start up option called low res start up which put my into windows at the low possible res. from there you should be able to fix it. hope this helps. I had this problem happen like 3 to 4 times when i put in a new mother board or a video card. I had lots of problems with an ATI “All In Wonder” card years ago; the consensus of oppinion at that time was that ATI drivers were NAFF. 2 weeks ago I purchased a top of the range ATI 1gig DDR5 Radeon card, thinking that AMD would have sorted out the ATI driver problem, but NO. When I boot the PC it will not work with the ATI drivers. It will work with the generic windows VGA driver but not the ATI drivers. ATI strike again. Do not waste your money on these cards by Nvidea or some other equivalent. I recently used my laptop to run a projector and switched to screen number 2 in the display setting to see the images. Unfortunately, I did not set it back after using the projector. Another bad – I don’t have the projector anymore. When I boot up my laptop, it’s a black screen. In Safe Mode, it only shows the one monitor so I can’t switch. Help!? i just found out the answer after 5 hours of headache to figure what is going with my computer. I’m not the computer expert but you can try this. Press F8 at boot start, on Screen got SafeMode, SafeMode with network, etc. Click on Last Known Good Configuration (advance). XP, the monitor goes blank & I have to turn the power surge off and on, with the same result. In 2 of those occasions a msg. will show saying windows apologizes, but there is a software/hardware prob. plus some other info. Then it gives me a choice. I click on Last Known Good Configuration and it works. Yesterday morning, came up fine and shut down after 1 hr. In the aft. had same prob. At one point Windows showed msg.as above. Tried to read everything on the screen, since it gives you 30 sec. & couldn’t help because, sharing wasn’t working. Was told it could be virus & to do a scan. I was doing the AVG. scan every day & no virus was found. Decided to do S&D scan and found a trojan virus. Didn’t have a prob. after that, until last week. Wondering if having MSE & AVG. running, could be the problem, although last month I didn’t have MSE installed. Did a quick MSE scan successfully. Have done full AVG scan and only finds a tracking cookie. 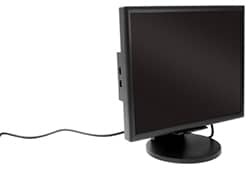 If you can start with another monitor, then while you’re there reduce the resolution (& hz perhaps) to one that’s supported by the original monitor. I was on my computer (an old.. very old PC) and trying to install Windows 7. If you have halfway installed Windows 7 then it probably went long enough to wipe the old system out. You are going to need to boot to a disk of some sort. Hopefully to your full image disk you made before this radical change. If not that, then to the Windows 7 disk, or to a Linux boot disk. You’ll need to get a full operating system on the machine some how. I don’t think the time delay that happened when you fell asleep would affect this. Something else must have gone wrong in the installation process. I’d try reinstalling again. i have same resolution problem in windows 8.1. i start my pc with safe mode and go to resolution settings but it will not changed from 1024×768(recommended) resolution to lower or higher resolution .please help me for this problem. I am using Sony Vaio SVE15123CNB with Windows 8.1. Now the problem is that when i press the power button, the CPU fan is working, the power lights up as green and is charging but it goes to black screen. I can’t see any thing on display. It become like black screen of dead. Please help me how to solve it? Hi, i have HP ZD8000 laptop and problem is that is black screen after windows logo, sometimes it working and load normally with a bit of lag but then dekstop loads fully everything seems to be okey, after restart or shutdown it becomes black screen, my idea that is possible with coolant system, because ATI video card chipset on motherboard is 2 – 3 mm plastic which is very soft and i thinking possible that overheating very fast, also my middle fan not working so i change it and that plastic i will change into thermal paste so i hope it not cause this problem anymore. because driver is correct. Also sometimes i getting atidvag blue screen of death, so as i said think this problem was caused by not working fan and very soft plastic between fan and chip. booting time is slow. For the past four days now when i start the system after authentication password the window goes blank. pls kindly come to my rescue. ps . windows is boot normaly ,after i instal new windows is working good …problems start next day when i try to switch on …so at first moment he works normal but if i switch it off for some hours start this problem . 1) read the article you just commented on, it covers this. I keep getting the message “Open parent document button whenI try to download a pdf file,” but when I press enter on this nothing happens. My computer laptop from gateway is a windows 8 and is a little over a year old, my laptop was working fine an hour ago, but the computer told me it was ready to automatically update/upgrade so I saw the normal option to restart the computer so the system can update, this is when my issue started, after I updated the normal happened and it asked for me to choose my profile ( I share my laptop with my toddler child) so I did and entered my password then hit enter, so far everything is normal,but soon after it loaded my screen went black I can’t see nothing except my mouse icon, and it moves were and when I want it to, but the screen stays black, I can use Ctrl+alt+delete to sign out/switch users and that screen works fine, on the black screen I can pull up the task manager but that’s all I can do, I don’t know what to do since I use my computer to go to college online, so I need my computer, I don’t do anything really with computer but complete assignments from school and watch movies and shows online, please help, need my computer to do my school work. Its been two days since my laptop shows a black screen and the cursor after booting the system. Pressing f8 doesnt work. Idk what to do. I have windows 7 and only ctrl+alt+del is working. 2.instead of using safe mode there is an option open video with low resolution click on it. Ur pc will start with very low resolution automatically . Please try the suggestions in this article. If you are still having problems try searching on Ask Leo! for more specific answers to your question. Also try troubleshooting for some more specific problems (such as the screen itself not working) by plugging in an exterior monitor and see if that works. If you search on askleo.com for “keypad not working” you’ll find a number of good articles to help you with that. Hi, I am having a problem with my computer i was installing window 8 , what happened is that i was in internet cafe to update antivirus couple hour later i finshed and i turn off my laptop when i get home i turn on my laptop after displaying the window logo it goes to black i dont know what to do iz there any one who can help me……..? i am facing problem and i don’t know what to do. cursor in my laptop always pointing first icone in my laptop screen. even i try to select other icon, i cant able to select it and instead cursor pointing to first icon or first object in my folder. help me. i try to find solution but havnt found anything. That almost sounds like a keyboard problem. Once I had two keyboards attached to one computer and a book was set down on the unused keyboard. It was pressing a key and made all sorts of strange things happen on the screen. Took me forever to figure it out. It may be a stuck key on your keyboard. It may also be something wrong with a wireless mouse. Either low battery or interference. Search Ask Leo! for the term “wireless mouse” and you’ll find a number of great articles on that. Leo Sir, The problem I have is this. I turn on my computer I hear it running, I turn on the monitor and see the settop setting I have. Then then monitor goes off and I keep having to hit the start button on my monitor again and again, plus the auto adjust comes on all the time. After about 6 or 7 times of me pushing on the monitor button the desktop will stay on. I’ve tried everything I’ve been told to do by others I’ve read about on your and other sites to fix it but nothing does. Can you help me. I Have a Dell Monitor and a Dell XPS 200 computer. Sounds like a monitor problem. I would try another one – borrow one to diagnose the problem. Greetings Leo and everyone else. I have a hp pavilion dv3 notebook laptop with ati mobility radeon premium graphics. I have a black screen just after windows logo loads. I’m a gamer and it started when I was playing a game(fm15), d whole screen just froze with some doted pixels showing. No matter what I pressed no response so I did a hard shutdown(held the power button). After the shut down I restarted my laptop and it gets to windows logo and then the screen turns black bt I can hear the windows welcome tone at the background. I shutdown and went through safe mode, I uninstalled my ati graphics from device manager. I restarted and the system works fine. But as soon as I reinstall my ati driver, the problem returns when I restart and I noticed my catalyst control centre stopped functioning. I updated my ati, intel and vga drivers bt nothing, still the same problem. I downloaded latest ati drivers but as soon as I install them and restarts, the black screen returns. Even formatting doesn’t work to remove the black screen. After installation of the graphic driver, its showing a yellow caution when I check it in device manager just b4 I restart. I know its graphics related cos when uninstalled from safe mode, it passes the black screen but I need my ati to play my games. It turns out the card itself wasn’t securely fixed to the motherboard after it had been dropped to the floor – a trip to the local repair shop later and they opened her up, found a screw missing, refixed it and cleaned up the dust and it now boots fine everytime. So, before doing a fresh install or scrapping the machine, if you know what you’re doing, check the GPU is secure…. First Enter safe mode and reinstall display driver or update the display driver. I’m having the exact problem mentioned and my monitor does run in safe mode and the resolution has been turned right down but its not fixing the problem when I try to restart normally. More info sorry: Screen display changed to vga and then put onto monitor 2 which is when it went black but now monitor 2 isn’t even there in the monitor area (which makes sense because there is no second monitor). After the download and install of Windows 10 from Windows 7, my screen went blank and keeps flashing input not supported. Can not start in safe mode, and the computer keeps rebooting on its own. How can I fix this?? Any suggestions?? During reboot my gateway has spam.. it displays in gateways “desired resolution” .. this is a resolution my monitor cannot support so the screen goes blank. then as windows finishes booting it goes to 1920×1080 which is what i want. The problem is my monitor does not refresh.. once it goes to that black screen and windows finishes booting.. the monitor displays a tiny square in the upper left corner with the mouse cursor in it. the only way to get the monitor to work after that is to turn it off then on again.. to recognize the now valid input resolution. BUT! If for some reason the computer has a game up.. or something that is not the same resolution i can alt tab.. and when the windows tries to resize a screen.. the monitor resets itself properly.. so even when i exit the game and go back to 1920×1080 it works. I cant tab away this problem tho when it’s a reboot cus nothing else is runnning. So how can i force a gateway not to use illegal monitor resolutions during the boot process (to show it’s gateway spam) .. or how can i make my tv recognize a valid resolution and reset itself when that happens? i have a new dell inspiron 13 7000 series which had windows 10 and i wanted to downgrade it to windows 7 when i install it goes well until the first time it restarts it starts and the screen goes black though the machine remains on what could be the problem. I have a zebronics computer. It was working fine, but one evening when I turned it on after the starting windows logo the screen goes dead! I tried the mothod of plugging in the speakers. I heard no sound of the windows desktop. I have windows 7,1gb ram,36 gb hard disk and 1.80 ghz intel dual core processor. Please I do not want to lose my data. I also cannot enter safe mode. The only options are launch startup repair and start windows normally . F8 and F10 are not working. Plz help! There’s really no way of determining what the problem is from the information provided, but if you remove the hard drive and place it in a USB enclosure the data would most likely be recoverable. What Mark said, But START BACKING UP. Your hard disk can always die instantly and take everything on it with it. If you would lose data because this machine fails, you haven’t been backing up. START NOW. HI, I think my problem is a little different because i have my oldie goldie computer P4 3 ghz 1.5gb ram, few day ago my Vga/ display card/ graphic card( i don’t know is there a difference between them or not) crashes , so yesterday i went to shop ask to the shopkeeper to check my pc’s problem , he said you have to change your VGA card, so he changed it and installed a 256 mb VGA/ display card/ graphic card (i dont know the brand name of this card), but i went to home and i connect my pc to monitor it is show only 800*600 resolutions and 16 bit and 32 bit color quality, everything looks so big on my monitor, i want to decrease its resolutions, help me what should i do? please tell me ASAP!!. thanks. Sounds like you need updated drivers for your display card. I keep getting black screen after any system or application update that requires a restart. Including any Norton updates. I find when I reboot a second time, the problem goes away. Tried every other bit of advice, without any joy. That’s as far as I can get. i have a query; when i switch on the my desktop PC, its screen does not go to “windows logo” screen rather it goes straight to “password” screen. what could be the issue, please comment. That’s normal with later versions of Windows. Doesn’t sound like an issue to me. Sounds like a fast boot, or returning from Standby or Hibernation. Why do you think it’s a problem?